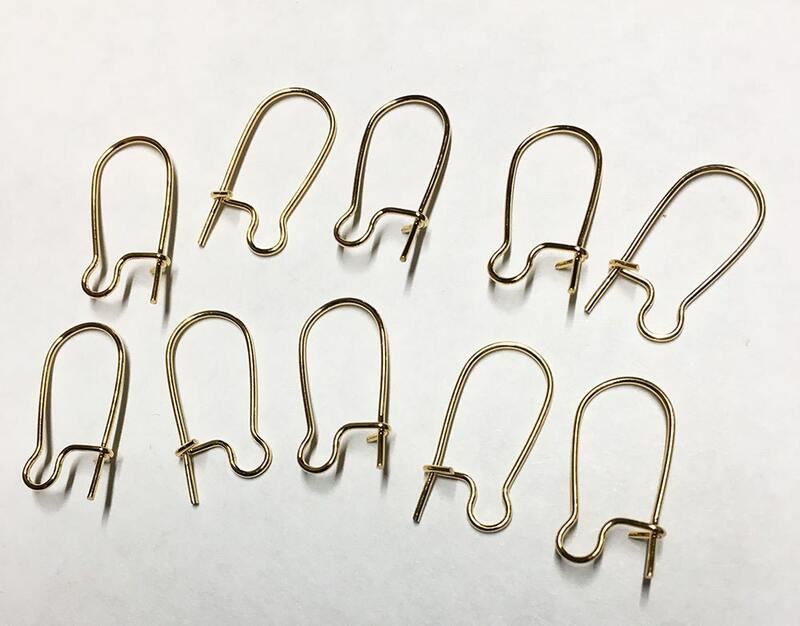 20 pairs gold plated brass 21 gauge small kidney hook ear wires. They measure 18mm. Attractive and popular style, not too large; very light weight.